By-Laws of The Lakeview Civic Improvement Association, Inc. 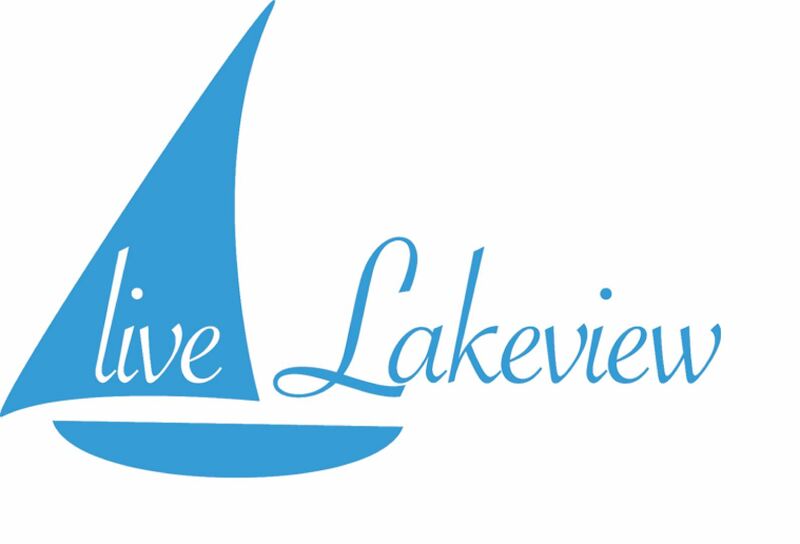 The purpose of the Lakeview Civic Improvement Association is to serve as a means for Lakeview residents to work together in creating a safe, pleasant, and civic-minded neighborhood by drawing on the interests and talents of the membership to solve problems and improve the quality of life in Lakeview. Any person over the age of 18 years residing, owning property or owning or managing a business in the Lakeview area of the City of New Orleans, as hereinafter defined, is eligible for membership in the association upon payment of the prescribed dues. Associate members of the Lakeview Civic Improvement Association are non-voting members who do not qualify as regular members. The dues shall be the same as for regular members. No consideration shall be given regarding their age group. Business membership of the Lakeview Civic Improvement Association is available to any interested party, not just the ones operating a legally approved business in Lakeview, upon payment of the prescribed dues. Business members are non-voting members of the Association. The Lakeview area composes all of that portion of the City of New Orleans within the following boundaries: commencing at the corner of City Park Avenue and Orleans Avenue and proceeding in a westerly direction to the Pontchartrain Expressway, thence in a northerly direction to the intersection of Veteran’s Memorial Boulevard, thence in a westerly direction to the 17th Street Canal, thence in a northerly direction to Lake Pontchartrain, thence in an easterly direction to West End Boulevard, thence in a southerly direction to Robert E. Lee Boulevard, thence in an easterly direction to Orleans Avenue and thence in a southerly direction to City Park Avenue. The boundaries are intended to and do include the West End Park and Marina area. The amount of dues of a member shall be determined annually by the Board of Directors. Members of this association who attain the age of eighty (80) shall be exempt from further payment of dues on or after their eightieth birthday, and shall remain members in good standing for all purposes without further payment of dues. Dues shall be payable annually, in advance, and shall be payable on or before the anniversary date of such a month when the person first joined. Meetings shall be held on either a weeknight or Saturday, at the Board’s discretion, every other month beginning in January. The January meeting will be the annual membership meeting during which the Board of Directors shall make a report to the membership and at which the officers and directors shall be elected. As a result, the officer and director terms will closely coincide with the association’s fiscal year which begins on January 1st and runs through December 31st. No flyers or other documentation will be distributed by anyone at the general meeting unless previously approved by the President or Secretary. Special meetings of the General Membership may be called by the President, the Board of Directors, or not less than 50% of the voting membership upon 3 days written notice posted at the usual meeting location. Voting shall be in person only by members of the association: Absentee or voting by proxy shall not be allowed. Voting shall be by show of hands, unless otherwise specified. Only those members in good standing on the association’s membership rolls 60 days prior to a general membership or special meeting are eligible to vote. Under special circumstances to be determined and approved by the Board of Directors, electronic voting using email and the internet is acceptable and apply only to Board of Director decisions. A quorum of the membership for the transaction of business at a general or special meeting shall be twenty (20) members. Robert’s Rules of Order (Revised) shall govern all meetings, subject to the provisions of the Charter and of these By-Laws. These By-Laws may only be amended by a majority of the Board and by a 2/3 vote of the members present and eligible to vote at the first regular meeting of the association, following the regular or special meeting at which the amendments were proposed. There shall be a president, president-elect, vice-president, secretary, treasurer, and up to ten at-large directors. At the annual general membership meeting, officers and the at-large directors shall be elected by a show of hands in accordance with the voting policy procedures of the association. If the election is contested, the officers and the at-large directors shall be elected by secret ballot, beginning with the election of the at-large directors. The candidate or candidates receiving the highest plurality vote shall be declared elected. Officers and directors shall serve until their successors are duly elected and qualified. A Board member must have been a member of the LCIA and actively participate on a LCIA committee for one year prior to election to the Board. The term of the president shall be one year, with the right to succeed himself/herself for one additional term. The immediate past-president shall be an ex-officio member of the Board of Directors for one year following his/her term of office, and shall be a voting member of the Board. No person holding a public office for remuneration, or who is a candidate for a public office which pays remuneration, shall be eligible to be an officer and/or director of the association. No two members may be from the same household. A nominating committee of three members, one of who shall be a member of the Board, but not an officer, shall be appointed by the president. The recommendations of the nominating committee shall be announced at the November meeting. Nominations may also be made by the General Membership to the nominating committee or at the November general meeting in advance of the elections to be held in January of each year. If nominations are made by the General Membership, the Board’s Treasurer is tasked with confirming that the nominee is qualified to serve pursuant to these by-laws and in accordance with the voting policy procedures of the association. Present officers shall be ex-officio members of the Board. The administration of the association shall be vested in the Board of Directors. The Board of Directors shall meet bi-monthly. Any Director who, without legitimate reason acceptable to the Board of Directors misses two consecutive meetings of the Board of Directors, shall ipso facto, be removed from office. The Board of Directors shall make an annual report to the membership of the following: (1) assets and liabilities of the association, and change therein from the preceding annual report; (2) expenses and disbursements of the association. The annual report of the Board of Directors shall be filed with the records of the association and an abstract thereof entered in the minutes of the proceeding of the annual meeting. In addition to the foregoing, the Board of Directors shall likewise exercise all powers conferred upon Directors by the laws of the State of Louisiana, and shall have and exercise such other powers as may from time to time be conferred upon them by the by-laws. In the event of a conflict of interest where the Board member does not voluntarily recuse himself/herself, the President has the authority to require said Board member to abstain from voting on the subject of conflict. The president is the chief officer of the association, and director of all ministerial functions within the association. He/She is also the presiding officer at all meetings. The president-elect shall automatically succeed to the position of president at the end of the president’s term. In the absence, incapacity or disability of the president, the president-elect shall exercise all his/her functions, and shall perform such duties as may be required of him/her by the Board of Directors. The vice-president shall perform such duties as may be required of him/her by the Board of Directors. The secretary shall have such powers and shall perform such duties as are incident to his/her office and which may be required of him/her by the Board of Directors. The secretary shall attend all meetings of the Board of Directors and the membership, and record all votes and the minutes of all proceedings in a book to be kept for that purpose; and perform like duties for committees when so required. He/She shall give, or cause to be given, notice of all meetings of the membership and of the Board of Directors. He/She shall be responsible for performing all duties if required in connection with the association’s correspondence. The treasurer shall receive and, with the approval of the Board of Directors, disburse the funds of the association, making a report of same to the Board of Directors at each regular meeting thereof and whenever requested to do so. Upon the occurrence of any vacancy on the Board or among the officers, the vacancy shall be filled by the nomination and election by the Board of Directors by a majority vote at a regularly scheduled Board of Directors’ meeting. In addition to the methods provided in Robert’s Rules of Order (Revised) for the appointment of committees by the Board of Directors, the president may appoint, subject to the approval and to serve at the pleasure of the Board of Directors, one or more committees, as are deemed necessary. No committee chair shall have the sole authority to make a commitment or decision in the name of the association unless specifically approved by the President or agreed upon by a majority of the Board. Upon the expiration of the Charter of the association or upon the dissolution of this corporation, its affairs shall be liquidated by three members to be elected at a meeting called for that purpose, and the assets shall be expended on some worthy civic project in the Lakeview section of the City of New Orleans. The terms of the present officers and directors shall be extended until the new officers and directors shall be duly elected and qualified as provided under Rules III and IX as above amended. No member of the association may endorse or reject in the name of the association any candidate for political office or any proposition to be balloted upon by the general public and further, that no officer or Board member may use his association title in endorsing or rejecting any candidate for political office or any proposition to be balloted upon by the general public, either of the foregoing unless the membership shall have approved such endorsement or rejection in any general or special meeting. Due notice of which shall have been given to the membership, such notice to include details as to the issues to be voted upon.